SAP Concert | SAPPHIRE NOW and ASUG Annual Conference. The SAP concert is open to registered attendees only. Grammy and Golden Globe winner and Academy Award-nominated Lady Gaga is a one-of-a kind artist and performer. She has amassed an outstanding 33 million global album sales and 229 million in song consumption, making her one of the best-selling musicians of all time. Gaga is also one of the biggest living forces in social media with over 60 million likes on Facebook, over 77 million followers on Twitter and over 31 million followers on Instagram. Her fifth studio album “Joanne” was released in October 2016 and debuted at #1 on the Billboard Top 200, marking her 4th consecutive #1 album - the first female to do so in the 2010s. In 2015, Gaga starred in the fifth installment of the Ryan Murphy FX drama, “American Horror Story: Hotel.” The role earned her a 2016 Golden Globe award for Best Actress in a Mini-Series or TV Film. Gaga headlined the 2017 Pepsi Zero Sugar Super Bowl LI Half Time show. Her 13-minute solo performance amassed 117.5 million viewers. In September 2017, she released her Chris Moukarbel directed documentary “Lady Gaga: Five Foot Two” via Netflix. Gaga most recently starred alongside Bradley Cooper in the Warner Brothers remake of the classic film, “A Star is Born,” released October 2018. Her performance so far has led her to a 2019 Golden Globe nomination and Critics’ Choice nomination for Best Actress in a Motion Picture. She won a Golden Globe for Best Original Song for “Shallow,” that she co-wrote and performed for the film, and has also received string of 2019 Grammy nominations including Song of the Year, Record of the Year, Best Pop Duo/Group performance and Best Song Written For Visual Media for “Shallow” as well. In December 2018, Gaga launched her exclusive Las Vegas residency at the Park Theater. Throughout her residency she will perform two unique shows. 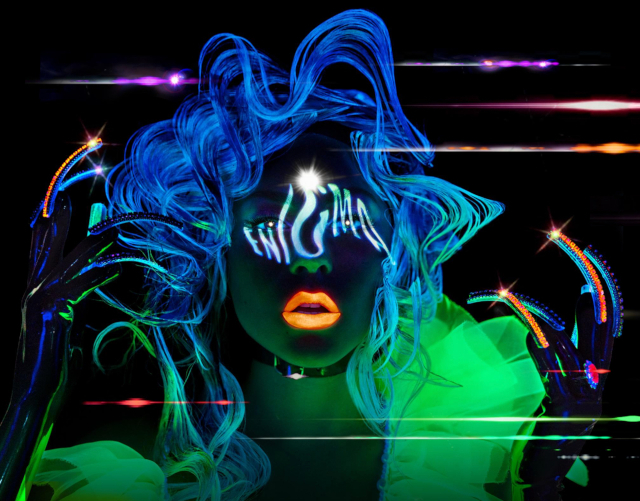 LADY GAGA ENIGMA is a brand-new odyssey of her pop hits built as an experience unlike any other while LADY GAGA JAZZ & PIANO will feature stripped-down versions of her hits as well as music from the Great American Songbook. In 2012, Lady Gaga launched Born This Way Foundation, a non-profit organization dedicated to empowering youth, embracing differences and inspiring kindness and bravery. She is also an outspoken activist, philanthropist and supporter of many important issues including LGBT rights, HIV/AIDS awareness and body image issues.